As Nik Aziz once again kept on repeating his 'vote PAS for heavenly reward' fatwa, PAS cyber machine had to work hard to deny it by saying that the media has misinterpret it. According to PAS cyber machine, Nik Aziz did not mean it that way, instead, his statement needs to be studied on how voting for PAS, one could gain heavenly reward. To explain it further, PAS presented the chronology on how voting for PAS could lead to heavenly reward, it is because of all the good deeds which PAS has done. The chronology was spread in the internet as a response to all the criticism made against Nik Aziz. 1. Increasing spiritual campaigns such as prayers, covering aurat, qaryah Ramadhan (fact is, PAS leaders themselves are involved with chronic moral decay issues). 2. Not awarding gambling licenses (fact is gambling still thrive in Kelantan with the excuse that Islam does not have the rights). 3. Changing the state financial transaction to eliminate the element of riba - (fact is, PAS never introduce their own financial system, instead, they are famous for embezzling money from Kohilal shares as well as the money which belong to Memali orphans. Because PAS has done all of these good deeds, voting for PAS would lead to heavenly reward. That is how they say it. 1. Providing a lot of facilities to increase religious teachings in terms of finance, as well as development to produce more religious teachers as well as religious figures. 2. Developing infrastructure as platform to implement spiritual religious activities as well as the development of Islamic syiar. 3. Building mosques, surau and madrasah to strengthen Islamic teachings towards the society. 4. Urges for ummah unity no matter from which party they belong to. 5. Introduced Islamic banking as early as 1963. Islamic banking is banking or banking activity that is consistent with the principles of sharia and its practical application through the development of Islamic economics. Sharia prohibits the fixed or floating payment or acceptance of specific interest or fees (known as riba, or usury) for loans of money. 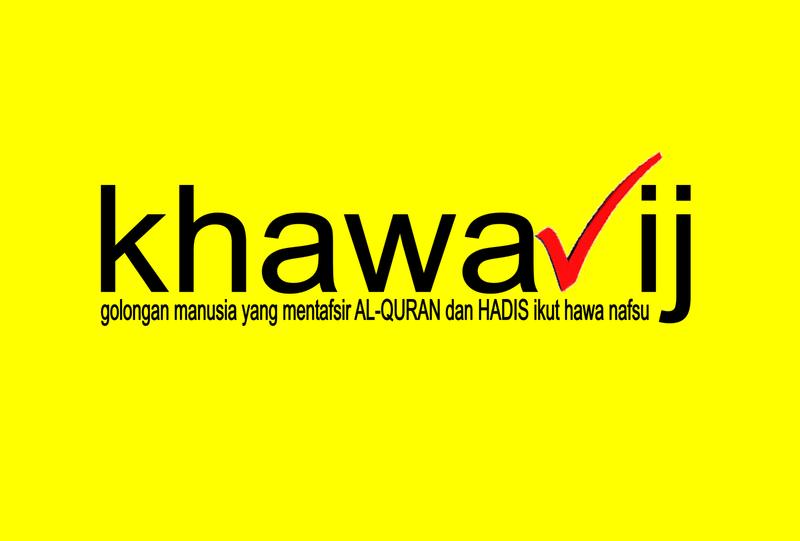 It was first introduced when Perbadanan Wang Simpanan Bakal-Bakal Haji (PWSBH) was established. PWSBH was introduced as an institution for Muslims to make their deposits as preparation to perform their hajj in Mecca. In 1969, PWSBH merged with Hajj Affairs Office to form Lembaga Urusan dan Tabung Haji (now known as Lembaga Tabung Haji). 6. Introduced state of the art system and facilities for Muslims to perform hajj via Tabung Haji. 7. Making sure that rakyat receive basic needs and always work to increase rakyat standard of living. 8. Ensures that Islam is defended as official religion under the constitution. 9. Establishing various departments and organizations to observe and provide guidance in terms of Islamic matters. 10. Ensuring peace and sovereignty of the country. 1. Kalimah Allah issue - PAS in 2010, strongly defended DAP and urged UMNO to approve the distribution of Bahasa Melayu translated bibles which uses kalimah Allah as reference to Christian's Lord. 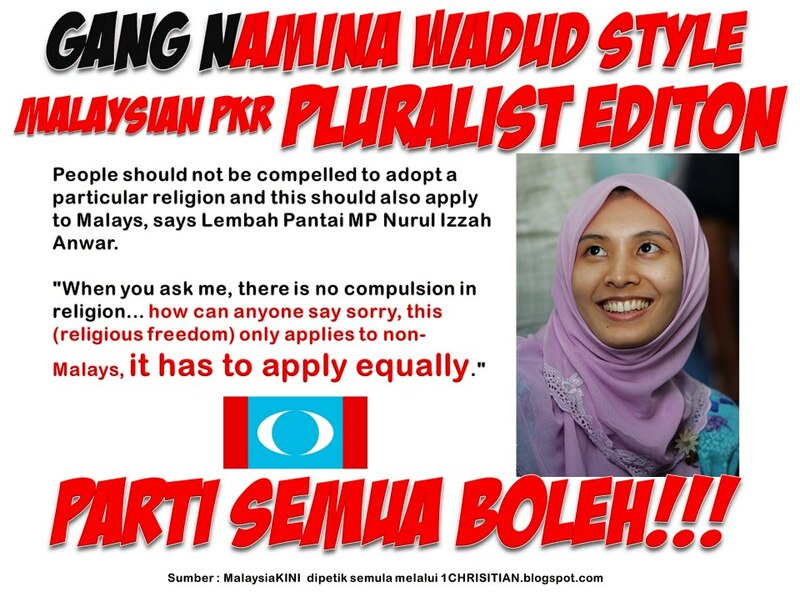 However, recently, PAS took a U-turn which troubles DAP and PKR over the hypocrite 'Islamic' party. However, UMNO government stood with the decision to restrict the distribution and up until now, still waiting for the appeal in court to restrict the distribution of those Bibles. 2. Hudud issue - Back then, PAS really wanted to implement hudud if they win, but after working alongside DAP, PAS decided to withdraw the stand. 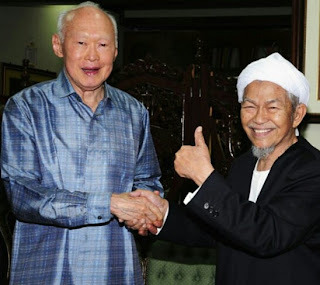 Since then, including their last Muktamar (General Assembly), Hadi Awang officially pledged that he will be defending the current law if PAS do win. 3. LGBT issue - PAS is willing to have Anwar Ibrahim as Prime Minister and stated that the law forbidding homosexuals are old and it needs to be changed. 4. Apostate issue - PAS decided to sack Hasan Ali who has contributed a lot for the party, just so that they would not offend DAP as DAP was involved in the issue of apostatising Muslims as well as PKR, which often fight defending Muslims' rights to convert to other religion. 5. Israel issue - Willing to have Anwar Ibrahim as Prime Minister who supports the security of Israel as well as acknowledged Israel as a country when he signed the ‘Annapolis Summit 2007’. Besides that, when it comes to comparing good deeds, we also should compare the badness between PAS and UMNO to see who we should vote later. 1. Corrupt: The case of Ariffahmi, Nik Aziz's son in law, case of awarding land to DAP, ladang rakyat case etc. 2. Rejects Islam - based on the list above as well as the fact that PAS likes to go against Islamic teachings which promotes unity between ummah, prohibits sentencing other through Allah's law etc. 3. Cronyism - giving posts and projects to their own goons as happened in Kedah, Kulim Hi-tech Park, KUIN etc. 4. 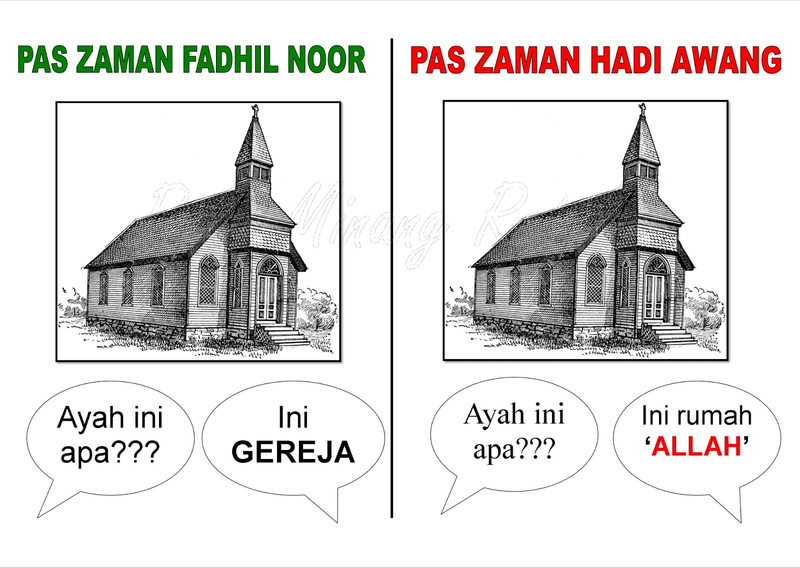 Nepotism - Nik Aziz's in-laws and children being involved in politics as well as having posts. 5. Scandals with women - adultery between friends' wives has somehow become a trend for PAS. Unlike UMNO, PAS decided to deny all of the claims made against their leaders despite of all the concrete evidence. Some PAS members even changed evidence and gave false statements just to protect their leaders. If their actions were revealed, Nik Aziz is willing to forgive them, like those Christian Priests. So, it is clear that UMNO has done more good deeds than PAS. However, even after being accused of being jahil, kafir or apostate, UMNO never toy around with religious law when it comes to politics. UMNO knew that reward and sins are up to Allah, and no matter what, UMNO will never take such task. What UMNO do know is that it will perform its tasks as a political party which is responsible to strengthen ummah. Other than that, it is up to those out there to choose the right party in the coming election.